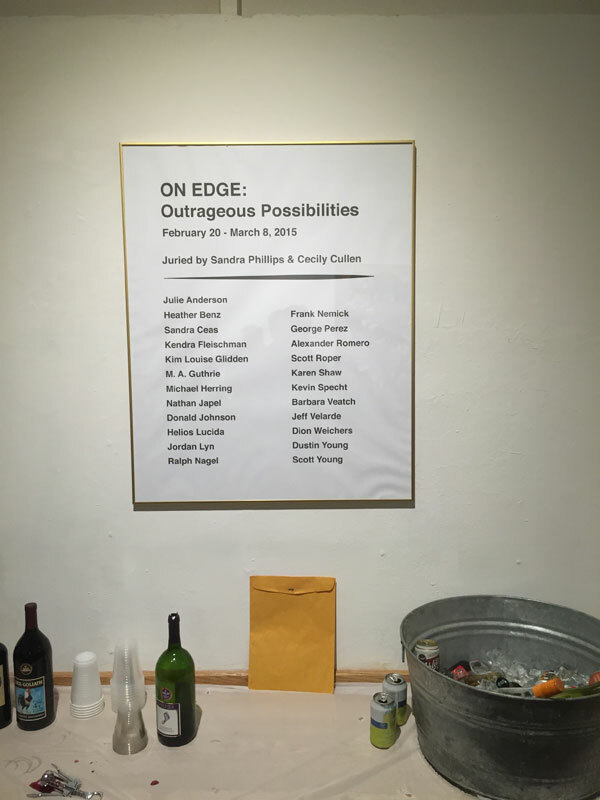 Here are some photos from the EDGE Gallery juried show opening, Friday February 20, 2015. 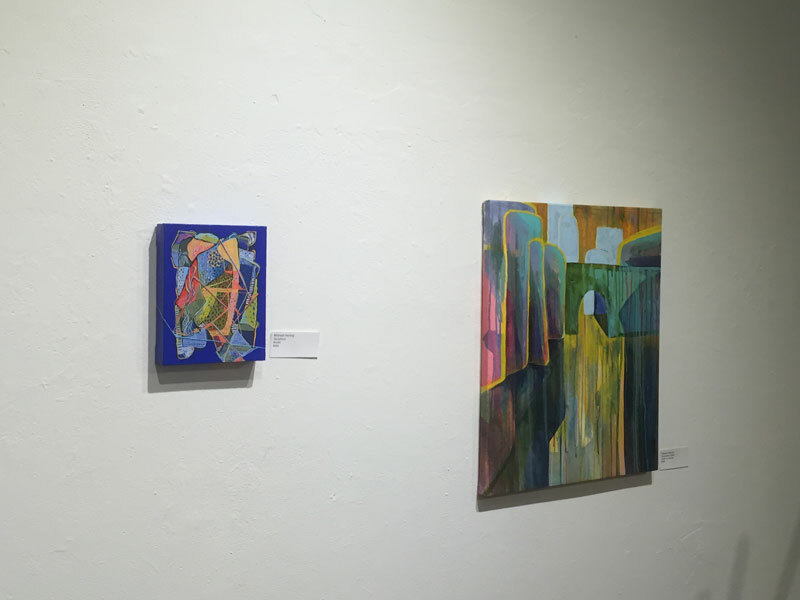 Here’s my small blue-backgrounded organic abstract on the wall (it’s the one on the left, mm-hmm). 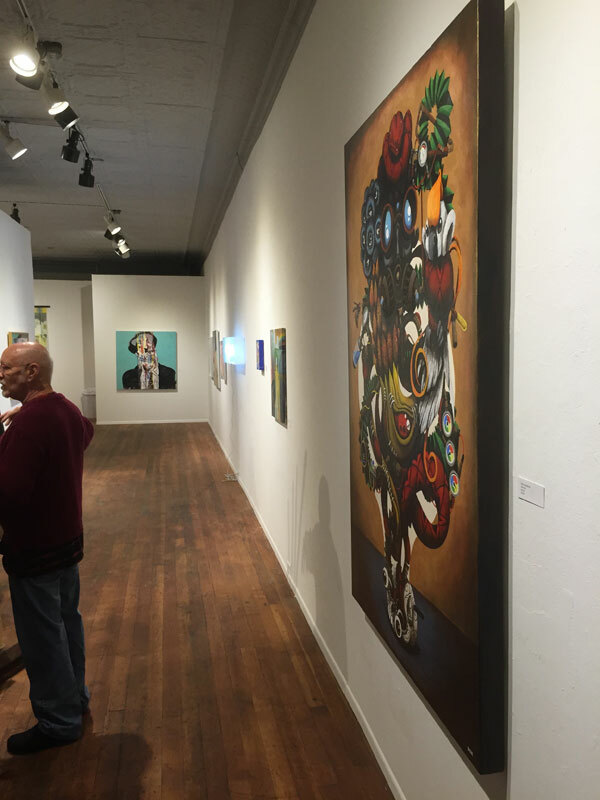 My painting was definitely the smallest one in the show. This big painting in the foreground was my favorite. Fancy artist list. A good show overall.